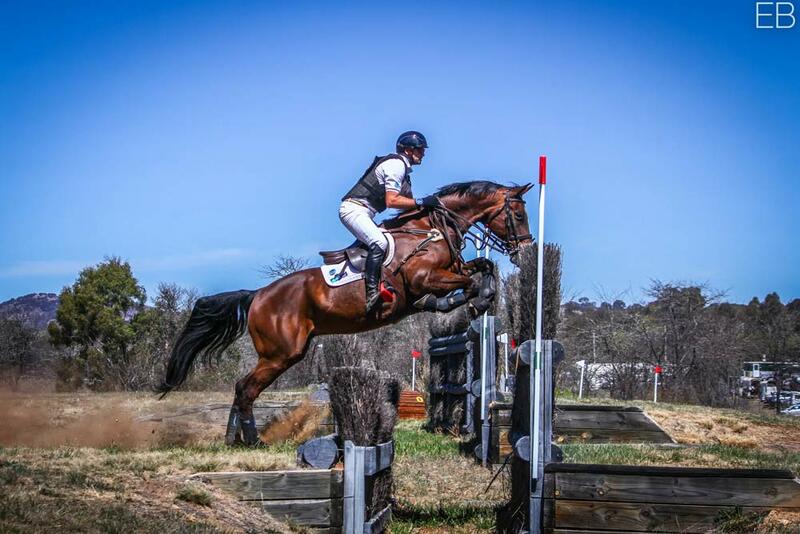 Welcome back to Tinney Eventing 2019! Jan was all about R and R for all the Tinney’s plus horses. 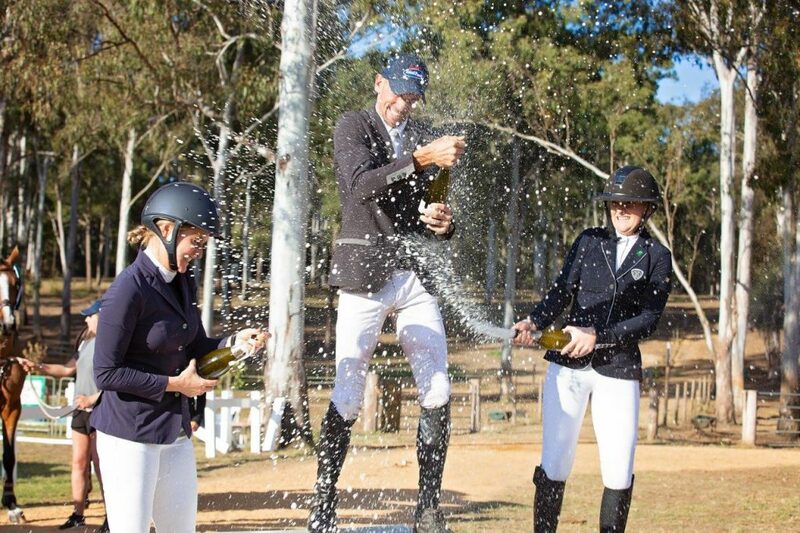 Always the 1st event to get our horses out is The Wallaby Hill Extravaganza. ALWAYS a great day, loved every minute of it! 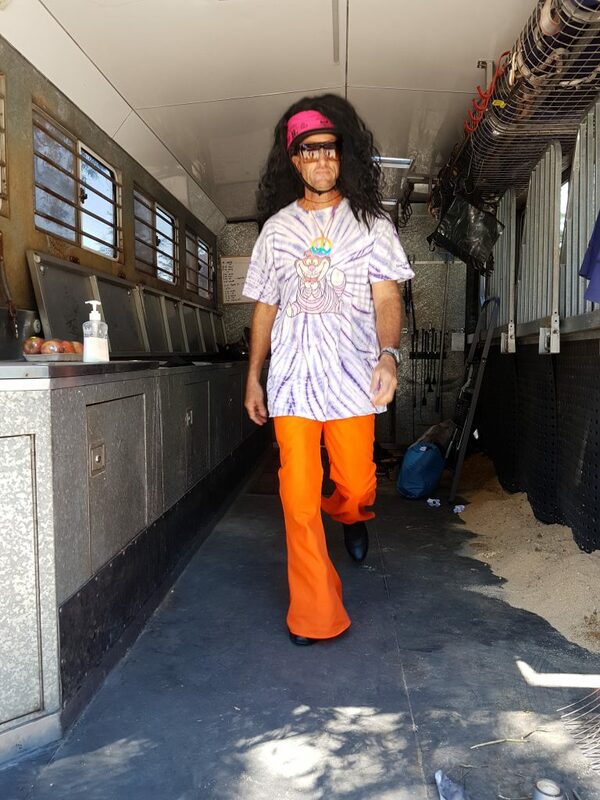 Thanks again to Alex and Derek who open their fabulous property for us all to parade around dressed up and just having fun with our 4-legged friends. Stuart always likes to get his ‘hair down!’ or ON more like it. Gemma taking on a Shane Rose look alike! 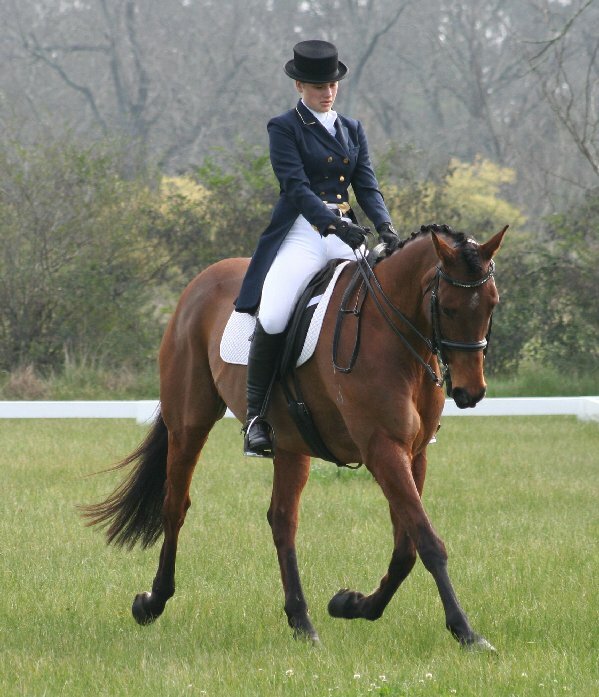 Very scary… Diabolo doing a bit of dressage. Great going, great weather. 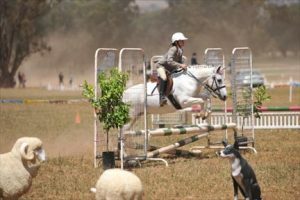 Once we had recovered from Wallaby Hill the Tinney’s did an outing to our local Arcadia Pony Club coaching and presenting CopRice samples/hats and feed for the Raffle. Medals were out and kids loved it. CopRice feed pics plus Lesley in pond. This summer has been off the dial heat and humid wise. 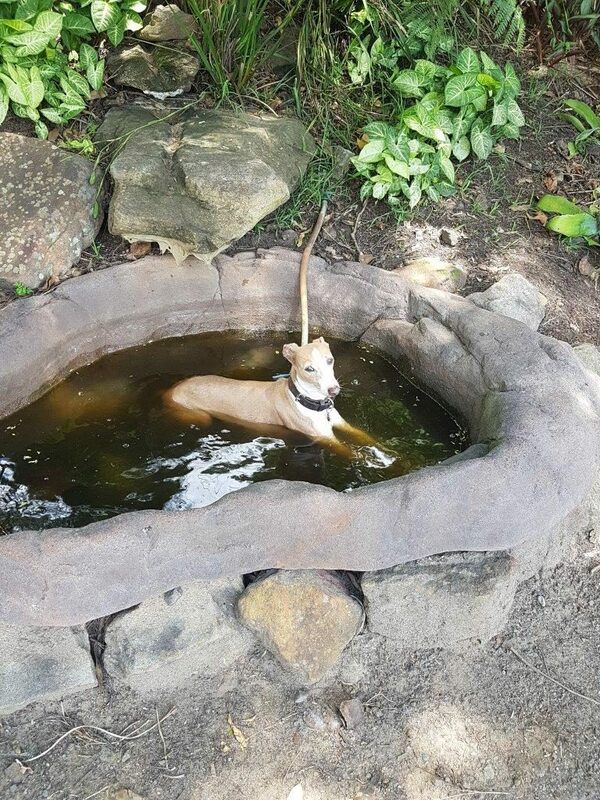 Even Lesley jumped in with the fish to cool down!! TE start early to help the horses work and recover better than later in the day. Again, we use CEVA brand products orally to help them. More info or advice, message us. 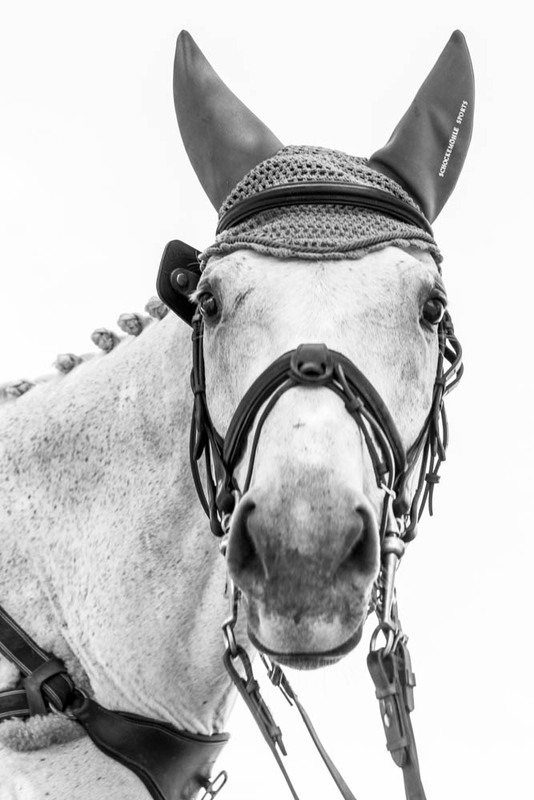 We took a team to Lynton HT – CIC which is always a fabulous event, with no exception this Oct. Gemma with Tim Games DIABOLO 4th CIC** and LEPORIS 6th plus the beautiful CELEBRATION 6th CIC*** owned by Elisabeth Brinton- The others all went well and completed their section. 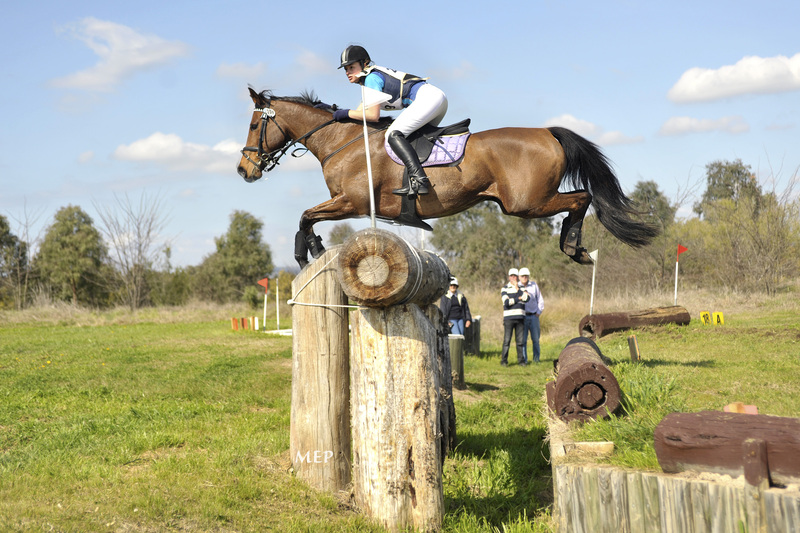 All jumping round clear XC and SJ, just taking it easy XC with time of the younger horses. We backed up Lynton with Albury 2 weeks later with a smaller team (thank fully!) 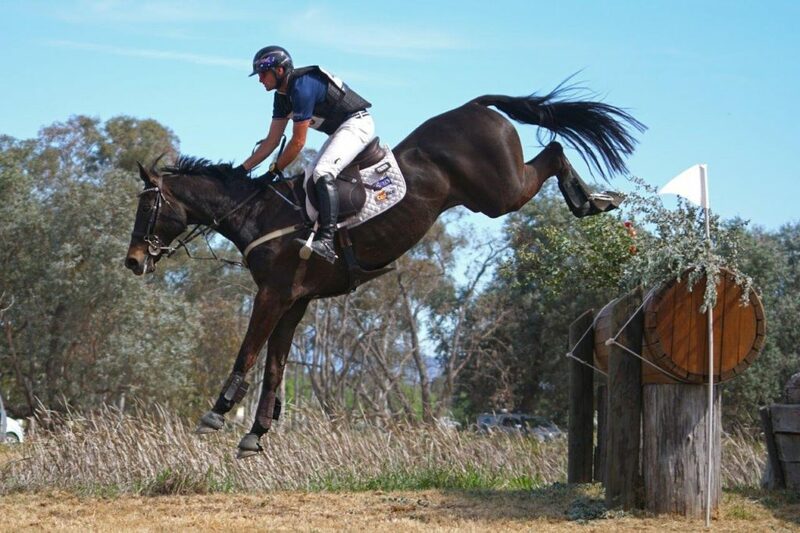 – Taking our own Raffles (War Hawk) for a run prior to Adelaide- Anna running into some trouble XC with Gemma, a good chance to iron out any issues prior to their debut 4 star a few weeks later. 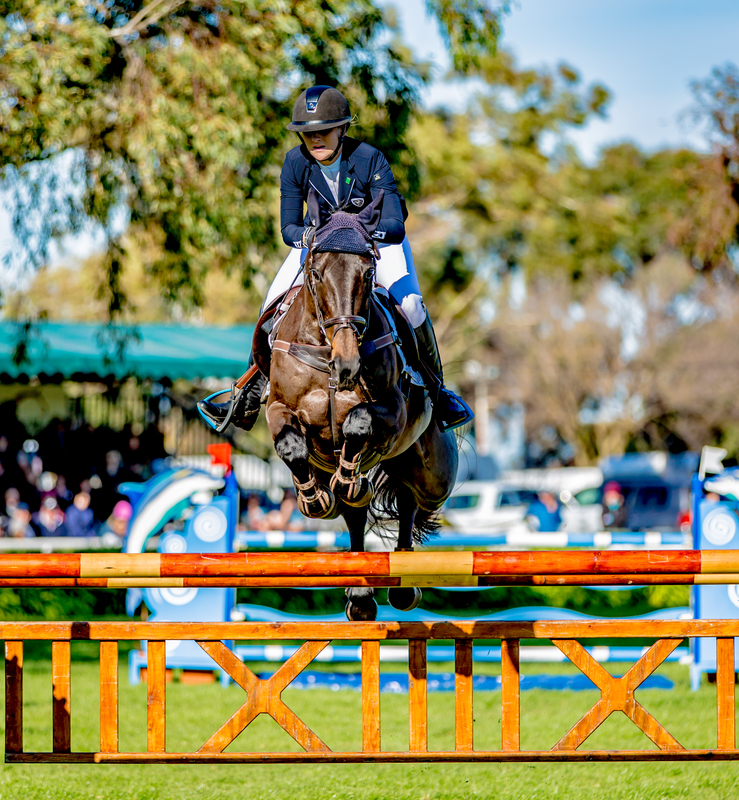 Alice Wheller’s SIR PEPPER putting on a show and spooking getting a 20 – Elisabeth’s CELEBRATION on a roll with 4th CIC*** Raffles 10th. 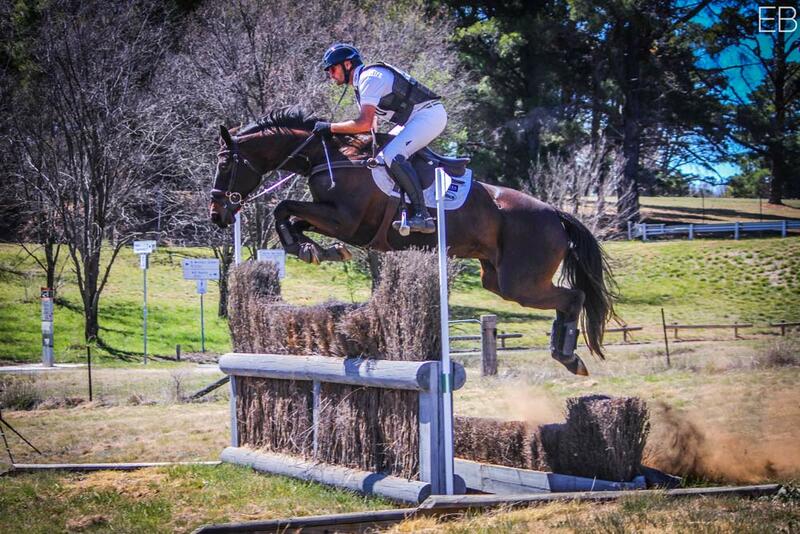 Our own LEPORIS 2nd CIC**- Mixed results but certainly happy with how all our young horses are progressing. 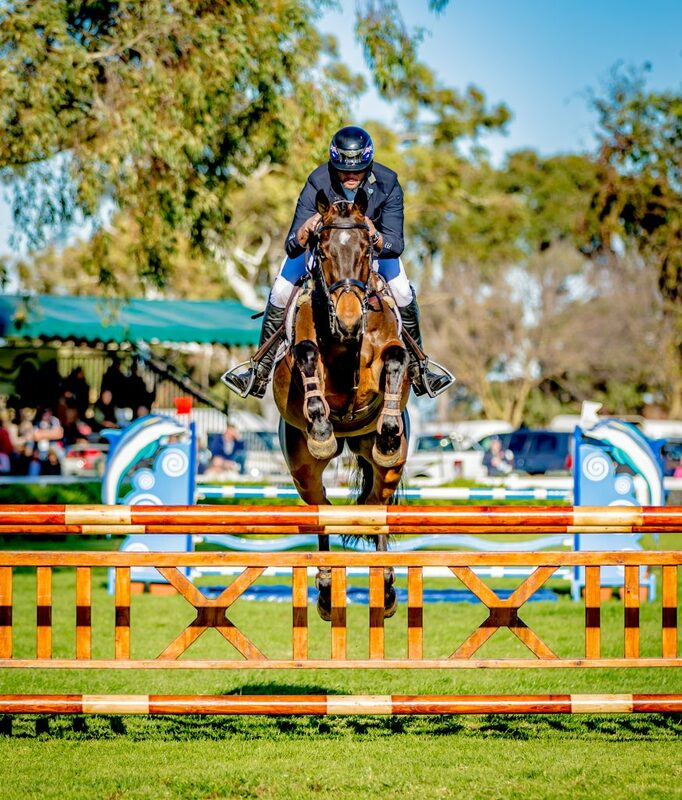 Then long drive home to repack and get on the road to Adelaide for The Australian 3DE. Arrival in Adelaide saw the weather a fabulous 25 degrees and good weekly forecast. 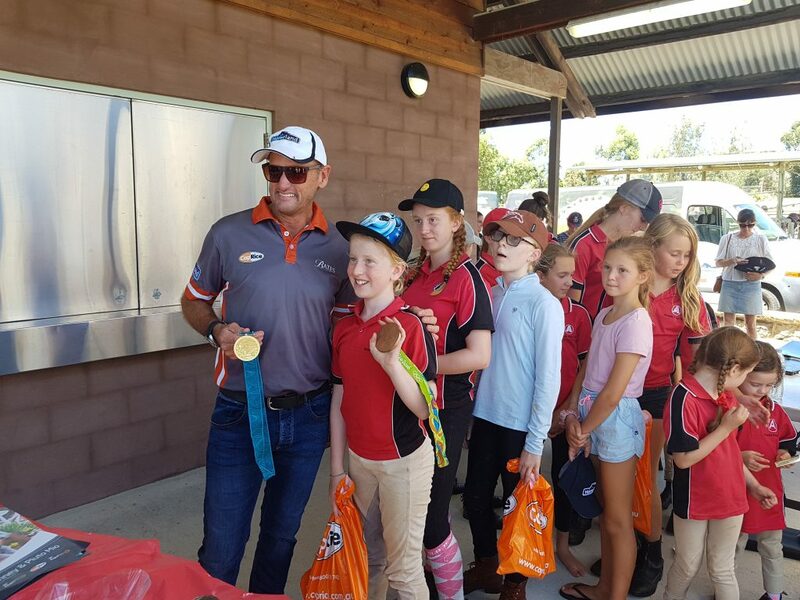 As always, the Adelaide OC team, that are well oiled at running this event made it pleasant and welcoming. I will try to keep this brief – Gemma and Anna did a super test for their 1st time in the main ring finishing 12th on a 36. The CC was tough, big, with lots of questions plus time was tight with so many technical lines. 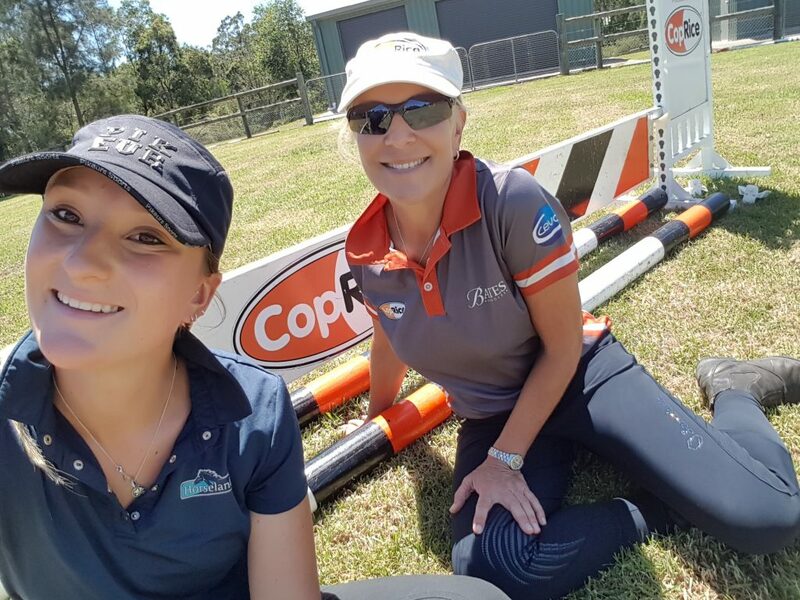 (not one rider got the time) BUT with Stuart heeding advise to Gemma, she rode accurately plus brilliantly, and Anna in return was honest (until 4th last fence) where they incurred a 20- With only 3 clear rounds this was an exceptional result for them. The showjumping was not unlike other years so no surprises with this phase. 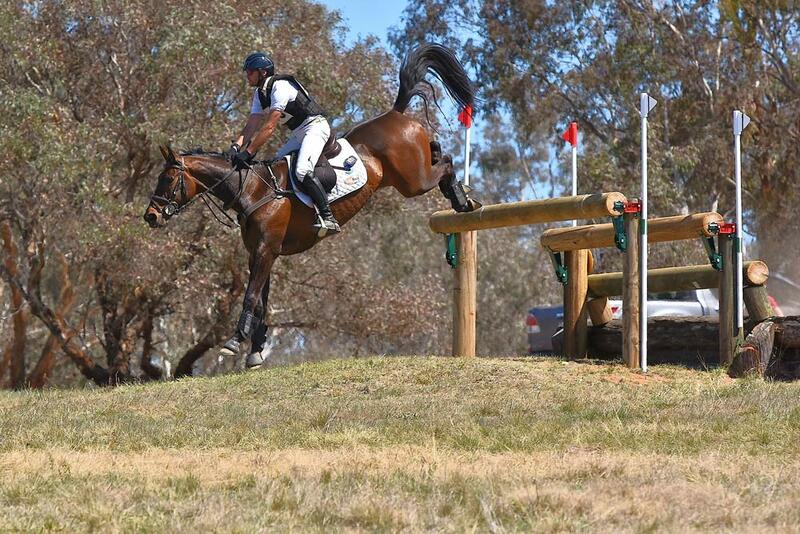 Horses possibly felt the day before, and not one jumped clear. So, 2 rails for Gemma and Anna kept them in 6th. 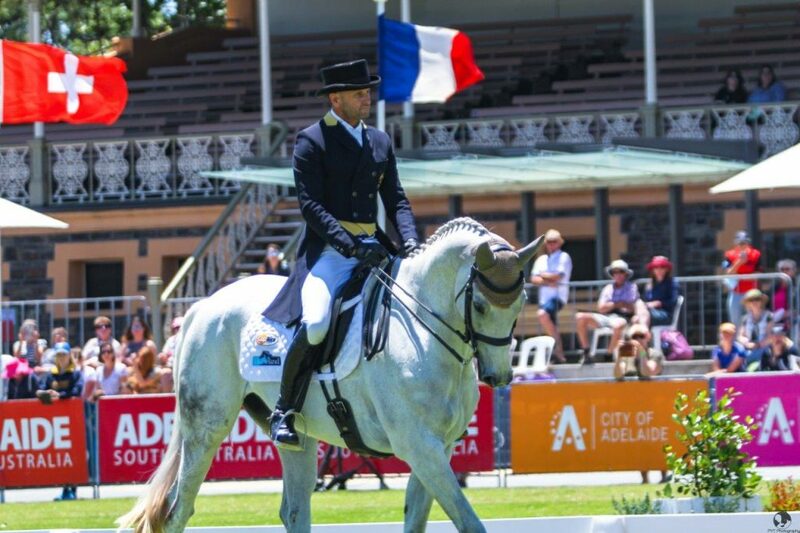 With WEG now behind us -we can now concentrate on our own team of horses back here in AUS. It has not been too bad Stuart being away for parts of this year, it gave the young horses some time to mature and grow in their training. With Stuart only getting back into the Country 3 days prior to Canberra CIC, the pressure was on us riders here at home to see if we had done a good enough job!! Thank fully all the ponies went well, so we keep our jobs!! 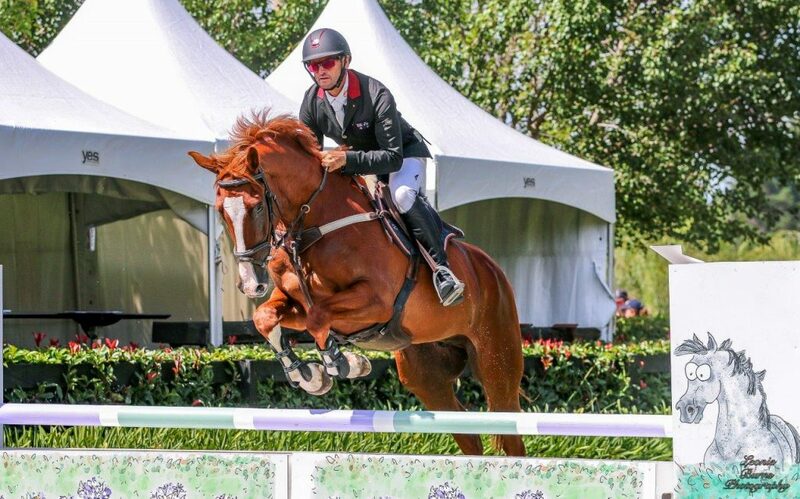 Just a snap shot of which horses Stuart competed and how they went. 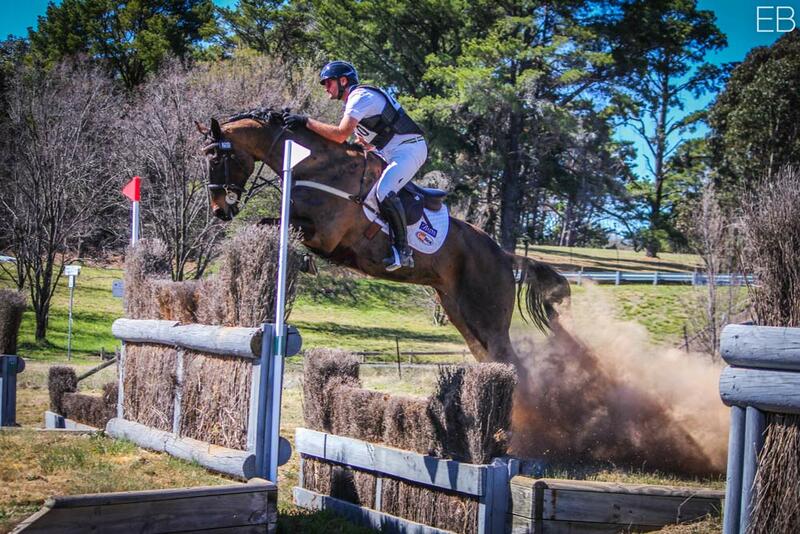 In the CIC2.5* Our own WAR HAWK did a fabulous event with some time CC to place 4th. 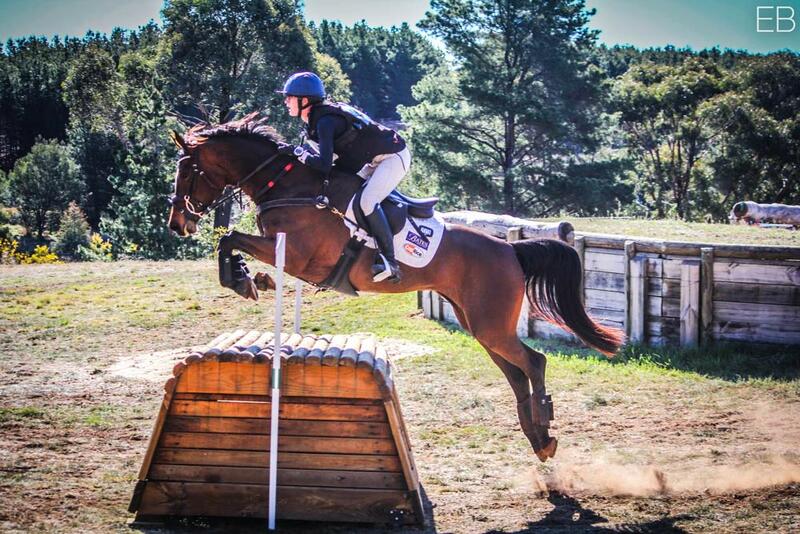 Our own LEPORIS stepped up and looked awesome in the CIC** again time CC placing 6th. The 2 girls Daisy and DD solid in the 1 star with a 5th and 8th. 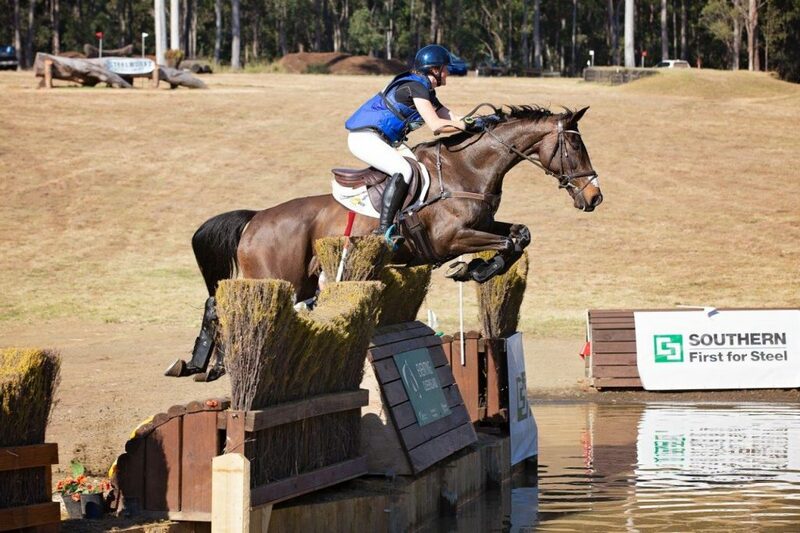 Elisabeth Brinton’s CELEBRATION only dressage and SJ this event (a little too pudgy for CC but he will start again at Goulburn) Alice Wheller’s SIR PEPPER looking better every event with a 10th CIC*. The timing of lack of winter events for us here at TE certainly slotted in with Stuarts commitments at WEG plus a trip to the UK for a family wedding plus some non-horsey activities on the Cornish coast for Karen and Irene (mum) Canberra was a great run for our horses, Gemma’s too, with Tim Games DIABOLO moving into the CIC** and The Pittards ANNAPURNA having a run to the water – With Adelaide in their sights. 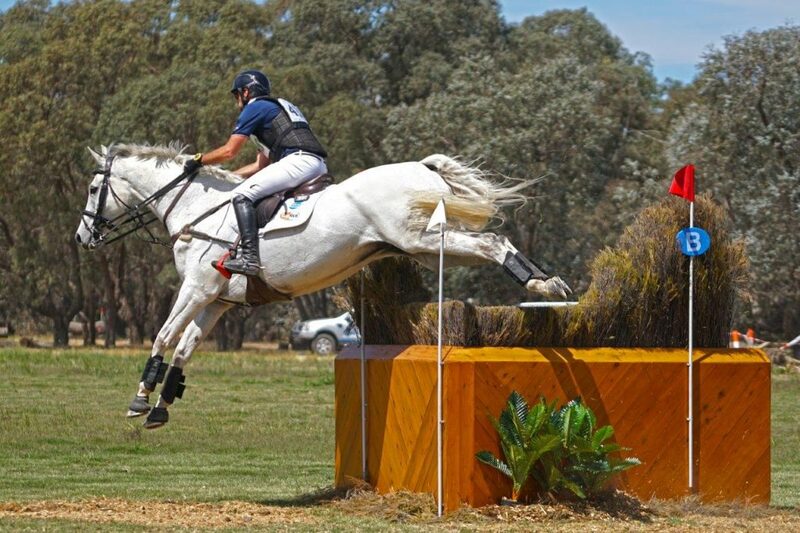 Events coming up for TE- Goulburn State Championships, Albury CIC followed by The Australian 3DE (Adelaide) then close to home Wallaby Hill 3DE. 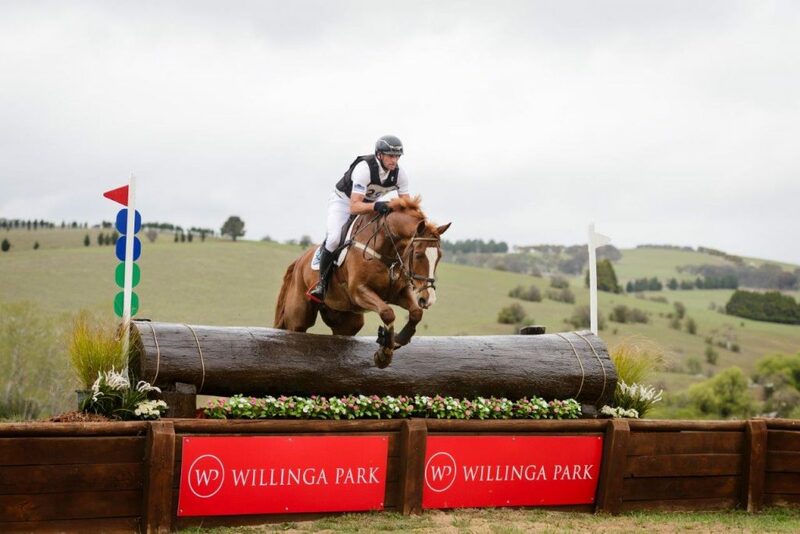 13/14th OCT Goulburn – Stuart- CELEBRATION CIC***, LEPORIS CIC**, DAISY, DD and PEPPER CIC* Tara- WASABI CIC* Gemma – ANNA CIC* and DIABOLO CIC**. 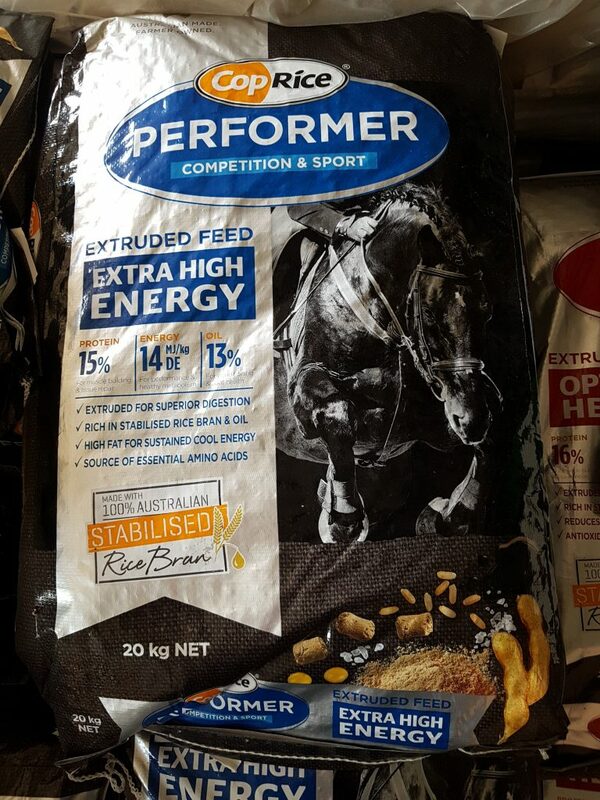 ALL TINNEY HORSES ARE 100% fed COPRICE Equine range. 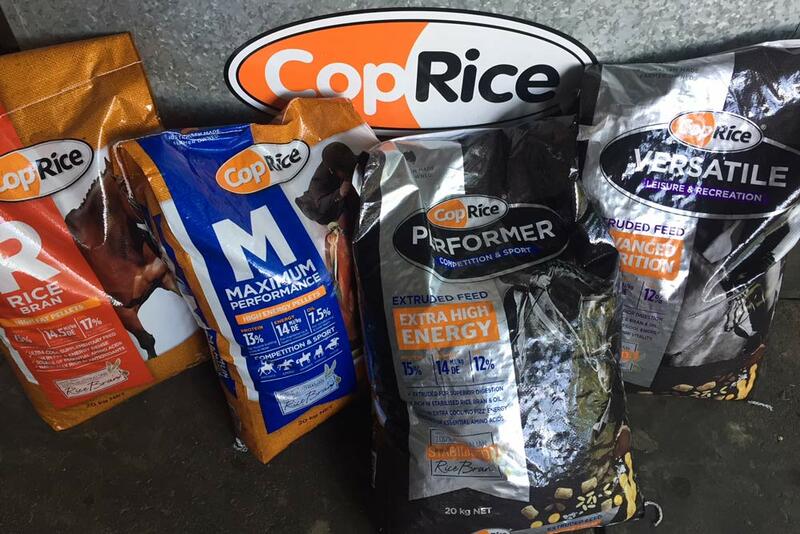 Thank you CopRice for contributing to our horse’s success and wellbeing 🙂 We also use HORSELAND for all our horse and rider apparel. 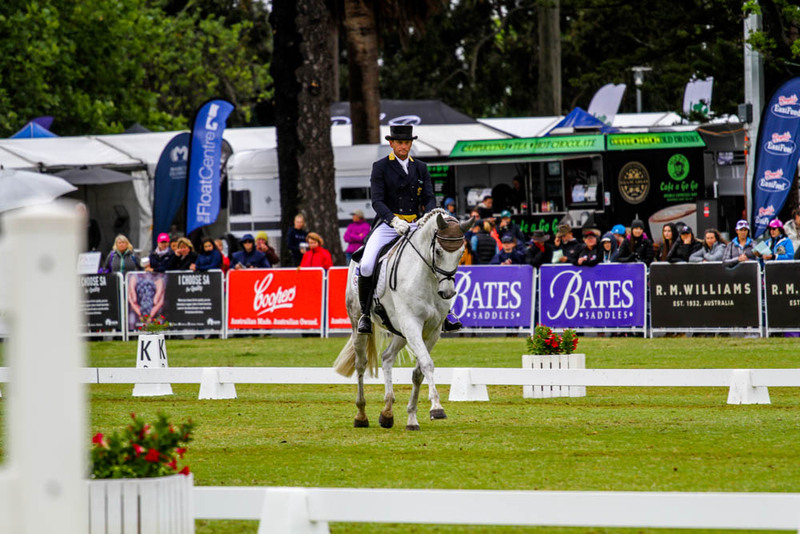 BATES saddles and CEVA for healthy bodies and joints… THANK YOU for being part of our team. 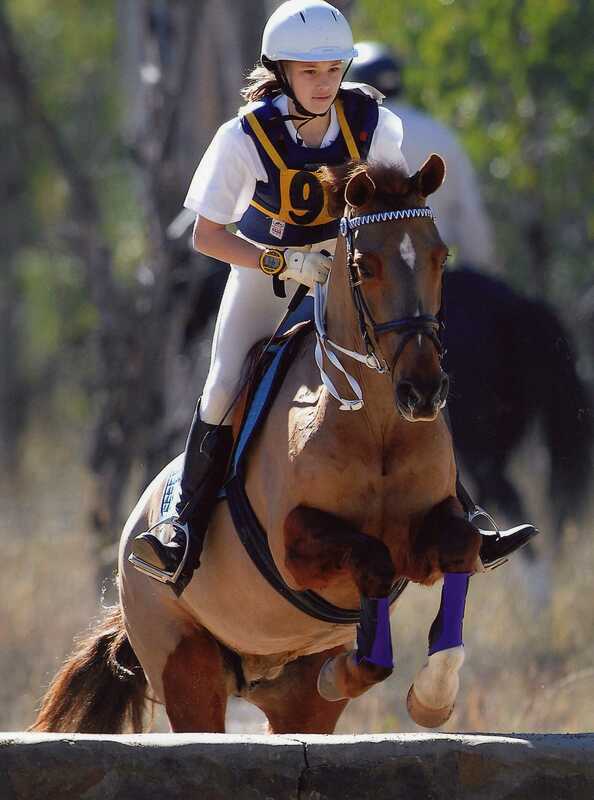 TAMBORINE 3DE with Gemma and Annapurna was a trip certainly worthwhile. 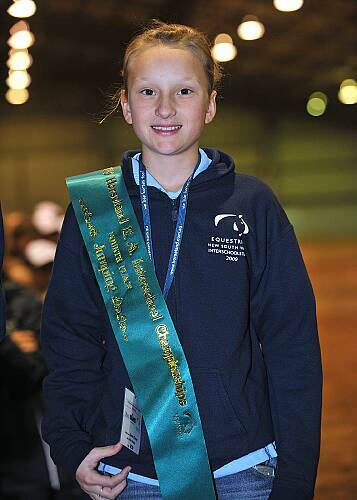 Gemma’s trip was to qualify herself and Anna for Adelaide 4 star, which she achieved with a credible 2nd. 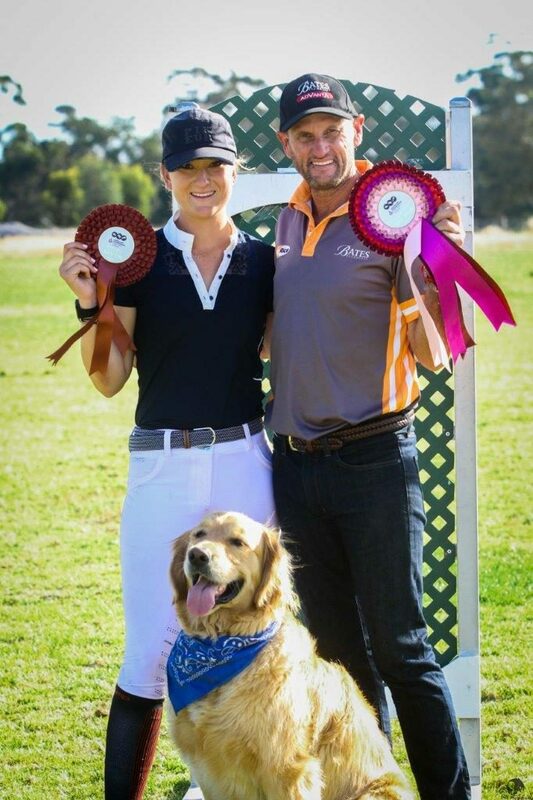 The event was very hospitable, weather was awesome, plus the event was well run and worth the drive (Thank you Rachael Lee for the company, and your great result too – podium finish) We will go back next year, the course was tough but great lead up for a 4 star. 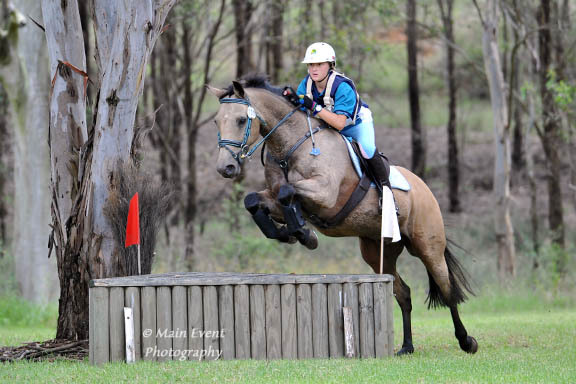 EQUESTRIAD at Camden a few weekends ago, Stuart flew home on the Thursday and rode 5 of our team that weekend- The horses performed very well, Stuart was a question at times!! But the team kept him full of Electrolytes and Encouragement!! 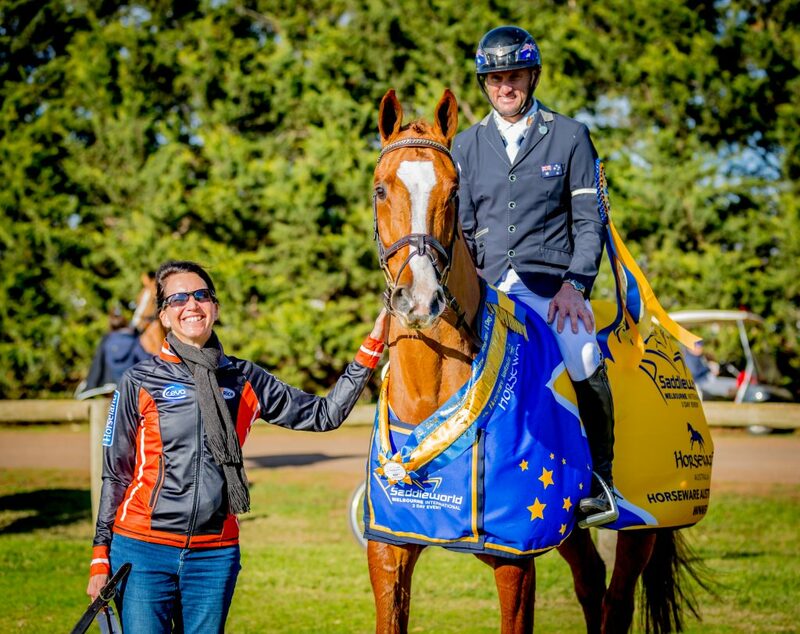 All horses in the top for their dressage phase, most clear SJ and XC taken easy – Gemma taking the ride on War Hawk winning her dressage on a 28… Her first event on him so could not be more pleased. Gemma took her first fall on XC on Dab (yes 1st, not to say she has not fallen doing other equestrian tricks!) An exciting event! 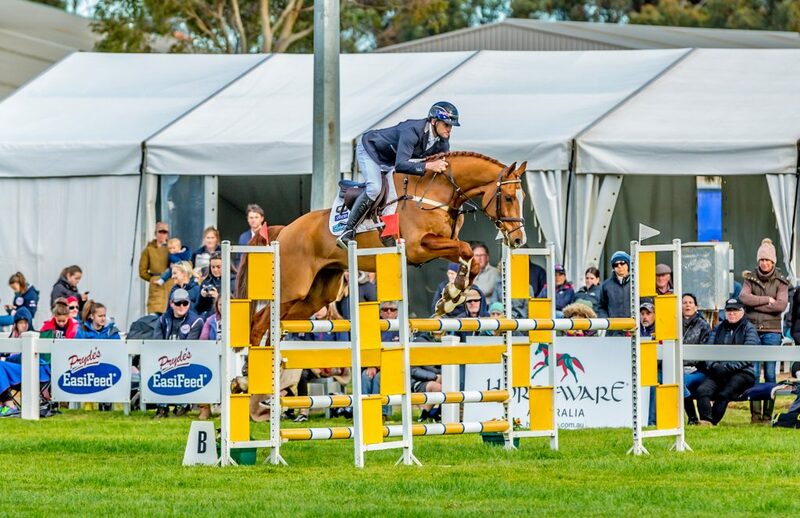 During Alice’s HSC Sir Pepper has come to us for Stuart to compete- Pepper has been awesome in dressage and show jumping but has lacked the experience in the CC phase- who better to help that in a positive way!! 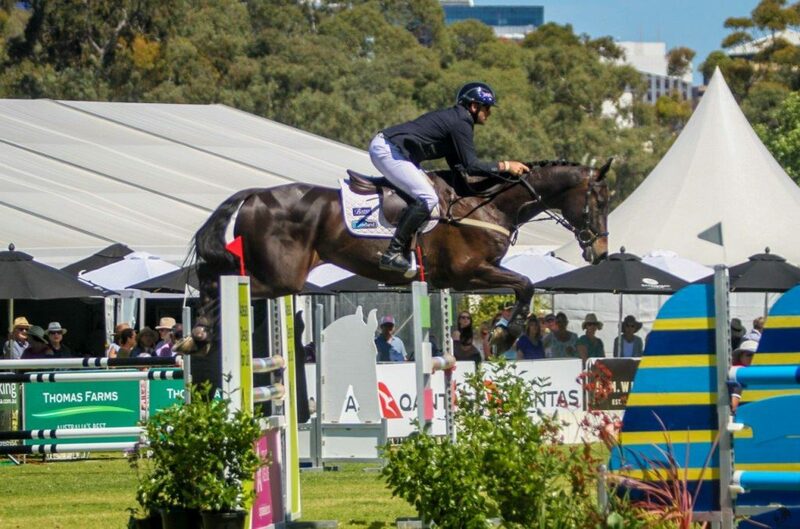 Yep Stuart- Pepper is an awesome horse and with a year here we hope that Alice will be very competitive in 2019. The awesome ANNAPURNA and GEMMA- What can we say but great partnership. Corinna and Darren Huskinson’s WAR HAWK is on the market to be sold. In the meantime, Gemma will campaign him, and is looking forward to some great rides. Gemma CNC** War Hawk / Diabolo.